The Apprenticeship Program provides truck and transport technicians with pratical work experience to become journeypersons. Candidates will develop knowledge and experience while building a strong foundation for their careers. The Apprenticeship Program puts classroom knowledge to work. Those who are hired as apprentices, can maintain permanent, full-time employment while they train to become journeymen. The purpose of the Corporate Recognition Program is to recognize and reward Company Employees and Independent Contractors for their substantial contributions to the growth and prosperity of the Company. Siemens Transportation Group Inc. appreciates the continuous effort, dedication and achivements that all Employees and Independent Contractors continuously extend towards the Company. We are proud of our past achievements and look to our Employees and Independent Contractors for our continued success. The Corporate Recognition Program is a small token of our appreciation. The student work program was designed in 2006 with the purpose of providing summer time employment to University students. The program was developed with the understanding that education is the first priority; therefore, all jobs are flexible to each individual student’s schedule. Management will try and place students in jobs that are similar to their respective fields, thus allowing students to gain real life experience that can be applied to their studies. Students are given a bi-weekly evaluation with their Manager/Supervisor that allows them to provide feedback and ensure that their time with Siemens Transportation Group Inc. is as educational, exciting and varied as possible. The many departments that students can be placed in are Finance, Marketing, Human Resources, Pricing, Customer Service, Operations and Maintenance. Departmental placement will depend on the students major and preference. Siemens Transportation Group Inc. encourages voluntary upgrading of job related skills and education to all of its Employees. An Education/Tuition Reimbursement Program is provided to Employees wishing to contribute to their performance and/or advancement within the Company. Future First is designed for pro-active high school students who want to get a jump-start on their careers. This program enables students to work full-time during summer and provides numerous opportunities for learning and also helps to determine plans for post graduation. After summer employment ends, the above average, customer service oriented students are provided with the opportunity to continue working as part-time employees throughout their high school year. It is the goal of the program that any one student who is offered a part-time job will remain with the company after schooling is finished. Students will gain valuable work expereince in the following areas: Maintenance and/or Office Administration. Green Miles is a Siemens Transportation Group Inc. clean air initiative focused on environmental change through various Company programs. Each program is dedicated to either reducing, reusing, or recycling and has made significant contributions in improving the Company’s overall fuel efficiency and reducing greenhouse gas emissions. Siemens Transportation Group Inc. continues to explore how to improve its already stellar environmental track record and looks forward to a greener future. Siemens Transportation Group Inc. is dedicated to ensuring all work practices, work environment and workplace culture will enchance and protect the health and wellbeing of all Employees/Contractors. Click here for our quarterly edition of the Wellness Matters Publication. Have you ever thought about being a professional Driver and owning your own truck? This may be your opportunity. Our Lease To Own Program is key to making those dreams come true. Our program is designed to allow you to begin building equity simply by driving your truck. Your experience is your credit and your hard work takes care of the rest. A number of tractors owned by Siemens Transportation Group Inc. are available to be sold through our Lease To Own Program. The Referral Program was put in place to encourage Siemens Transportation Group Inc. Employees and Independent Contractors to refer quality candidates for job consideration: Drivers (City, Branch, Long Haul), Mechanics, Dockworkers and Supervisors/Managers. All new candidates must be full-time to meet Siemens Transportation Group Inc.’s criteria and standards. Should more than one Employee/Contractor refer a particular candidate, the referral bonus will be split equally amongst the Employees/Contractors concerned. A bonus of $ 500 will be paid if the new candidate stays on for 30 days. Additional bonus of $ 500 will be paid if the new candidate stays on for three (3) months. If referring a previous Siemens Transportation Group Inc. Employee/Contractor who is wishing to return to the Company, a bonus of $ 250 will be paid if the candidate stays for 30 days. An additional bonus of $ 250 will be available if the candidate stays on for three (3) months. The bonus is not available if the previous Siemens Transportation Group Inc. Employee/Contractor returns more than once. This program does not apply to trainees or spare drivers for Independent Contractors. The Company allows riders in Company or leased tractors under certain rules and conditions. The Rider Progam is in place to ensure the safety of all individuals involved. The Rider Program is intended for Open Dispatch Drivers only. All Drivers must obtain approval from their Manager/Supervisor prior to taking a rider. Siemens Transportation Group Inc. is a family-oriented Company that is committed to helping its Employees/Contractors. The Scholarship Program is a way for the Company to recognize the achivements of Employees/Contractors and their children. 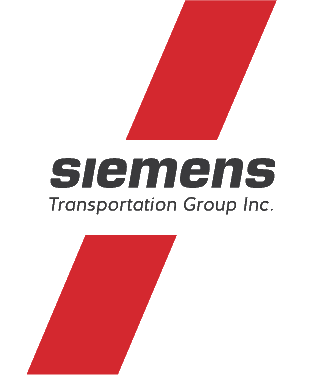 Five (5) scholarships are awarded annually for the fall semester to students whose parents or guardians are employed full-time within Siemens Transportation Group Inc. The scholarships will allow five (5) successful applicants to receive five hundred dollars ($ 500) towards his/her education. The scholarships are for tuition and will be paid directly to the university, college or technical school. 3. A mature student who is returning to post-secondary education. Siemens Transportation Group Inc. provides funding to well deserving teams, organizations, clubs and charities on behalf of Siemens Transportation Group Inc. Employees and Independent Contractors. This funding will be given directly to the Employee / Independent Contractor in the form of cash, advertising, door prize or sponsorship. 1. Have been working for one of Siemens Transportation Group Inc.’s Companies full-time for one (1) or more years, or have been working for one of Siemens Transportation Group Inc.’s Companies part-time for four (4) or more years. 2. Have a written request on the group/organization’s letterhead verifying its legitimacy. Experienced Drivers have the option of joining our elite training program "S.W.A.T." (Specialized Work Among Trainers). Some benefits from becoming a S.W.A.T. trainer include recognition by Management and peers, career advancement, opportunity to share knowledge and experience, educational opportunities and financial reward. Our Drivers enjoy working for an organized and structured Company with an exceptional carrier profile. Siemens Transportation Group Inc. has many loyal customers and freight. We are a stable Company with a great reputation. © Siemens Transportation Group Inc. All rights reserved.